During the summer of 2009, Sprague Theobald, an Emmy Award-winning documentary filmmaker and professional sailor, wanted to observe firsthand the changes Global Warming was bringing to the Arctic. But to his great surprise, the changes that he observed were those that happened to him and his family. Separated by an ugly divorce, Theobald had never been together will his son, stepson and stepdaughter all at once since the early 1990s—until they all signed on as crew for Theobald’s attempt to traverse the treacherous ice-choked Northwest Passage, a journey only twenty-four pleasure boats had made since The Passage was first crossed in 1906. 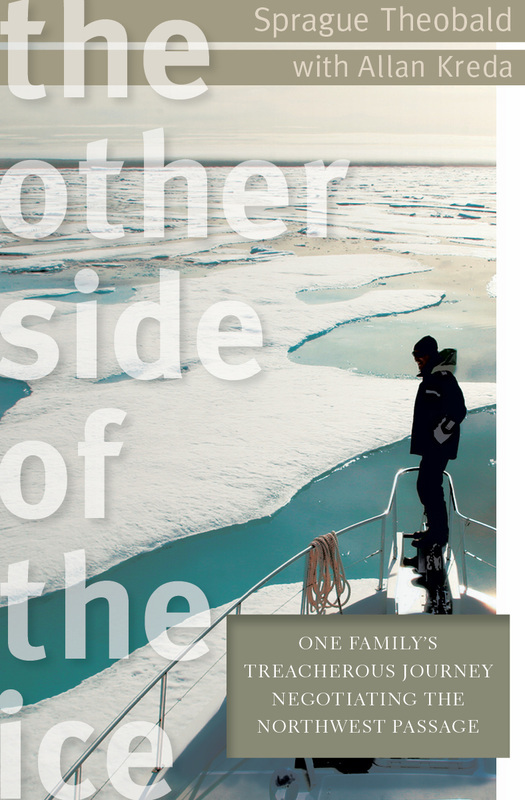 With 300 hours of HD video—the first ever taken in The Passage—and a production deal in place with CBS, The Other Side of the Ice documents the changes in the Arctic, as well as provides riveting family drama. Filled with danger in the form of unrelenting ice, hungry polar bears, an unearthly and haunting landscape littered with sobering artifacts from the tragic Franklin Expedition of 1845, as well as personality clashes that threaten to tear the crew apart, The Other Side of the Ice is a riveting read--from the safety of your own home. Sprague Theobald of Hole In The Wall Productions lives and works out of Newport, RI. A graduate of Roger Williams University, Sprague worked for an NBC affiliate both in front of and behind the camera producing segments and news stories of regional interest, while working on his independent productions. Sprague has received both national and international recognition for his writing, producing, cinematography and editing. Of his many awards and notices, he’s the most proud of his Emmy Award for “The 26th Defense; The End of An Era.” Currently, Sprague and Hole In The Wall are in production on “The Pearl Farmers of Fumba.” In 2009 Sprague completed his transit of the Northwest Passage (www.hitwproductions.com, www.northwestpassagefilm.com) and has just gone into co-production with CBS on a documentary of his journey. After completing work on the Norwest Passage project, Sprague will begin a new film focusing on the education needs of Appalachia. As a writer, Sprague has been published in The New York Times and was a successful screenwriter in Los Angeles. As a professional sailor, Sprague’s résumé includes 12 meter racing in the America’s Cup arena, several transatlantic races, one of which was the Two Man Transatlantic Race, a complete circumnavigation of North America, and over 40,000 off-shore miles. Allan Kreda has a Masters Degree from Northwestern University’s Medill School of Journalism, and spent almost two decades with the Associated Press and Bloomberg News in New York, where he covered money and banking, the National Hockey League and the sports media business. Now a freelance writer, editor and author, Allan is a member of the Friars Club in New York and writes for the legendary show business club’s magazine. He is also a regular contributor to Athlete’s Quarterly. Allan lives in Manhattan.